Kolkata: West Bengal’s Puja Carnival or Pujo Carnival in its third year since inception emerged grander and better. On Tuesday, around 75 puja pandals showcased their idols and tableaux on Kolkata’s Red Road. 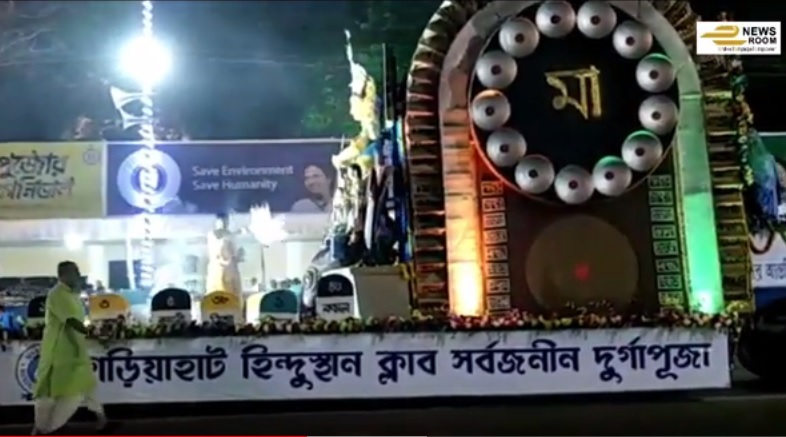 Chief Minister Mamata Banerjee, who conceptualised it was present along with her ministers and Tollywood stars during the extravaganza. Thousands of people converged on Red Road to have a look at the best of the puja idols which were being sashayed down the streets accompanied with dance and skit performances. Mamata, who has many a time been accused of Minority appeasement, has been praised by many for her idea of having the best idols being showcased along Red Road. Significantly, Red Road is also a place where every year Eid prayers get offered and observers believe that by choosing the road for the carnival, Bengal Chief Minister is trying to give a strong message to the opposition parties that every religion is equal for her government. And in its third year, the carnival seemed to have taken a full shape as several Tollywood actors and consulate generals were present during the Durga Puja idol showcasing event.